See Spain in Cherry Blossom Season! We couldn’t be more excited to be featured in ‘The Saturday Times.’ Discover unspoilt Spain and enjoy this medieval town for all the historic charm it has to offer. We’ve been featured in Lonely Planet! Get in touch with nature and come visit. It’s always exciting to share the beauty of the Trujillo region with others. We’re especially excited that Laurel from Destination Delicious came to experience the medieval town and enjoyed her stay. We were so excited Laurel Waldron, fashion and beauty PR writer and AllInLondon fashion editor, stayed with us during her trip to Trujillo Villas Espana. Read the full article here. Villa Martires and the Garden Cottage Villa Martires and the Garden Cottage, the number 1 secret hideaway villas in unspoilt Spain! As featured by the Sunday Times Travel Magazine, this month August 2012. Read the article. Villa Martires and Villa Moritos We are lucky enough to have Foodtripper write an article about our Villas! “The modern-day conquest of Spain’s coasts and islands has yet to influence much of the interior, and in particular Extremadura remains what could be described as the “real” Spain” Click here to read the full post. Trujillo Villas featured in Saturday Times’ 50 Best Holidays in Spain! Trujillo Villas featured in Harper’s Bazaar! Trujillo Villas featured as ‘best find’ by Woman & Home Magazine! Win a 2 night stay in our Artists Studio for 2! Calling All Foodies to Spain’s National Cheese Festival! Stampeding to Spain! Why Extremadura is one of the best European destinations! Trujillo Villas Trujillo Villas España will be featured in House & Garden Magazine’s supplement Gourmet Travel in January 2013! The feature highlights our wonderful art and cooking holidays in Spain. Learn more about our art and cooking holidays. They are the perfect getaway for all food lovers and art enthusiasts. Read the full article here. Trujillo Villas Trujillo Villas España was recently featured in the Belfast Telegraph in November 2012! The Belfast Telegraph is Northern Ireland’s most widely circulated local newspaper. All of our luxury villas in Spain are featured – the Artists Studio, Villa Martires, Villa Piedras Albas, the Garden Cottage and Villa Moritos. Read the full feature from the Belfast Telegraph. Villa Piedras Albas We are excited to announce Trujillo Villas España will be featured in the Sunday Express, October 2012! Each of our luxury villas in Trujillo in Extremadura, Spain will be featured! Read the full feature from the Sunday Express. Villa Martires and The Artists Studio We are excited to announce Trujillo Villas España will be featured in Grazia magazine, October 2012! Two of our luxury rental properties in Spain are featured – Villa Martires and the Artists Studio. Read the article from Grazia.  Villa Martires, Villa Moritos and Villa Piedras Albas We are excited to announce Trujillo Villas España will be featured in Country Life, October 2012! Three of our luxury villas in Spain will be featured – Villa Martires, Villa Moritos and Villa Piedras Albas. Read the article from Country Life. Villa Moritos luxury rentals villas in Trujillo have been featured in The Independent in September 2012. Read the article from The Independent. Our luxury rentals villas in Trujillo were recently featured in The Daily Mail on August 29th 2012. Read all about the wonderful history of Trujillo as well as the culinary delights that the Extremadura region boasts. Villa Martires and Villa Piedras Albas are both featured. Read about what Alice-Azania Jarvis stay at Villa Martires and her stay in Trujillo. Read the article from the Daily Mail. Villa Martires, the Garden Cottage and the Artists Studio Villa Martires, the Garden Cottage and the Artists Studio in the Telegraph on Saturday 11th August 2012. The article is also available online in the Telegraph Travel section. Read about what Anthony Peregrine calls – ‘Downton Abbey meets Don Quixote’! Read the article from Anthony Peregrine. Trujillo Villas España – Featured in the Sunday Times Travel!